Join Tehla in June for an intimate one-day yoga and meditation retreat against the backdrop of the pristine Otford Valley and surrounds. Treat yourself to a full day of yoga, meditation, delicious food and a good dose of fresh air and grounding amongst the stunning natural setting of Govinda Valley Retreat in Otford, NSW. Nestled within a beautifully presented 20 acres of rolling hills, bushland, gardens and creeks, Govinda is the perfect setting to unwind, relax and connect with yourself and nature. 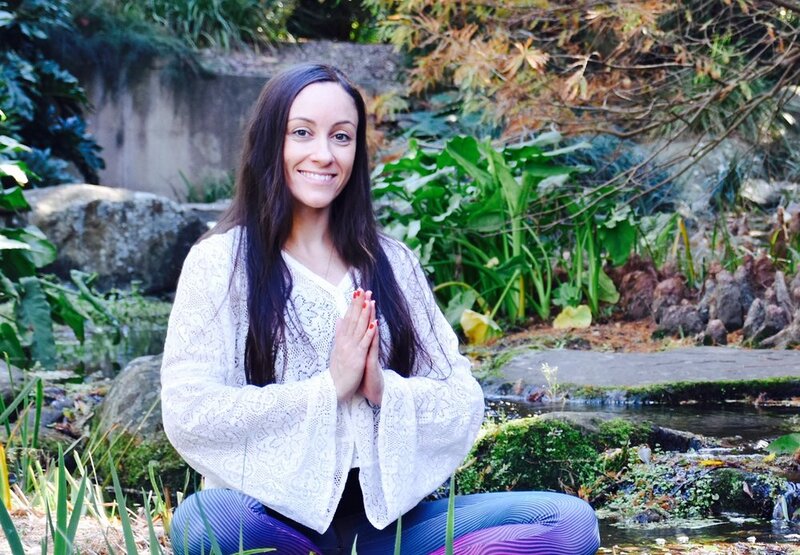 Let Tehla guide you in an energising yoga flow morning practice followed by a guided meditation and breath control session to help calm your nerves and release any tension that may be blocking and restricting the natural flow of energy and circulation within your body. Learn how simple breathing techniques can help you cope with stress and anxiety and the transformative benefits of a ‘self-love’ approach to living your life. Nourish your body with a deliciously healthy vegetarian lunch overlooking the National Park and gardens followed by an early afternoon visit to the nearby Sri Venkateswara Hindu Temple. Situated 400 feet above sea level legend says that Lord Shiva and Goddess Lakshmi stay here and offer blessings to those who visit. A special place for spiritual guidance and solace, the temple offers a taste of the rich history and philosophy of yoga and is a very short 2 min drive from Otford Valley. We will return to Govinda for a restorative relaxation and gentle yoga session followed by tea and conversation as the retreat comes to a close around 4.30/5pm. An open mind and your own amazing self! !